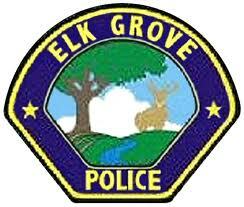 For the three days ending Sunday at midnight, the Elk Grove Police made only 11 arrests, of which only one involved an act of violence. Not surprisingly, the most common arrest was for impaired driving of which there were four. Police also made one arrest each for shoplifting, probation violation, public intoxication, narcotics, an outstanding warrant and resisting arrests. There was one arrest for an act of violence which stemmed from a domestic violence incident. Of the suspects arrested, only one, 43-year old Tony Christopher DeFazio of Elk Grove remains in custody. DeFazio was picked-up after a probation search of his residence 9500 block of 2nd Avenue led to the discovery of controlled substances and indicia of sales. DeFazio was on probation for a 2013 felony burglary conviction and is currently charged with felony possession of a controlled substance for sale. The suspect is being held on a $115,000 bail and is scheduled for arraignment tomorrow afternoon. I want to commend the Mayor Garree Davis for this improvement. Stronger neighborhoods is taking hold finally.